Lately the news is filled with stories about a scary new virus that is making many kids across the United States and Canada unwell. It is called Enterovirus-68 or EV-68. EV68 is one of hundreds of enteroviruses, including such viruses as coxsackieviruses (that cause hand-foot-and-mouth disease) and polioviruses. They generally cause symptoms of a common cold, with runny nose, congestion, cough, fever and diarrhea. Lately the news is filled with stories about a scary new virus that is making many kids across the United States and Canada unwell. It is called Enterovirus-68 or EV-D68. I am finding mass alarm at the Hospital for Sick Children and in my office, with many parents not knowing if their child is affected, what to do about infection and how to prevent the spread. EV-D68 is one of hundreds of enteroviruses, including such viruses as coxsackieviruses (that cause hand-foot-and-mouth disease) and polioviruses. They generally cause symptoms of a common cold, with runny nose, congestion, cough, fever and diarrhea. For the last 50 years, EV-D68 has causes sporadic outbreaks in the United States, the Philippines, Netherlands, and Japan. We typically see these outbreaks in entero-viruses season, typically August-September. 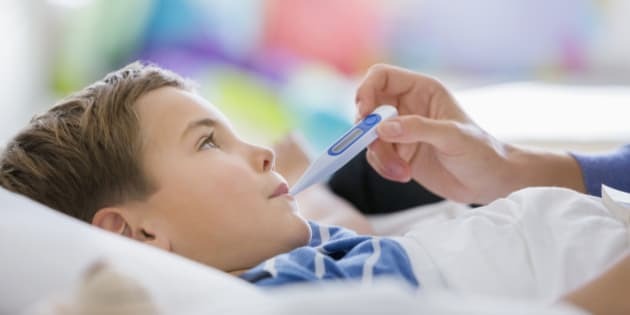 This outbreak is hitting hard, with many children and adults affected, with some becoming quite ill. Children less than five years of age, those with a history of asthma and immunocompromised people are most at risk of illness. By mid September we have seen thousands of confirmed cases across the U.S. and Canada, with many more not confirmed with testing. EV-D68 starts as a common cold, with runny nose, sore throat, cough and fever. If the disease progresses, difficulty breathing, decreased urine production, lethargy and dehydration can occur. Some kids develop skin rashes, diarrhea and abdominal pain. A few children have developed paralysis. As EV-D68 is a virus, antibiotics do not help. There is no specific treatment for the illness. We are left to treat symptomatically, and wait for the virus to run its course. The vast majority of patients will recover fully and will not require hospital care. For more on how to treat viral infections and colds see my website. How can we prevent the spread? EV68 has indeed made some kids sick. This is rare and most infected kids will develop common cold symptoms only. If your child becomes unwell, please see your doctor to rule out serious illness like pneumonia. If your child has asthma or recurrent chest infections, please be extra diligent about asthma care. Cover your mouth and nose if you are ill and wash your hands often -- this is good practice all year, but especially during cold season. And, don't panic!